There's nothing nicer than making something for someone else, is there? 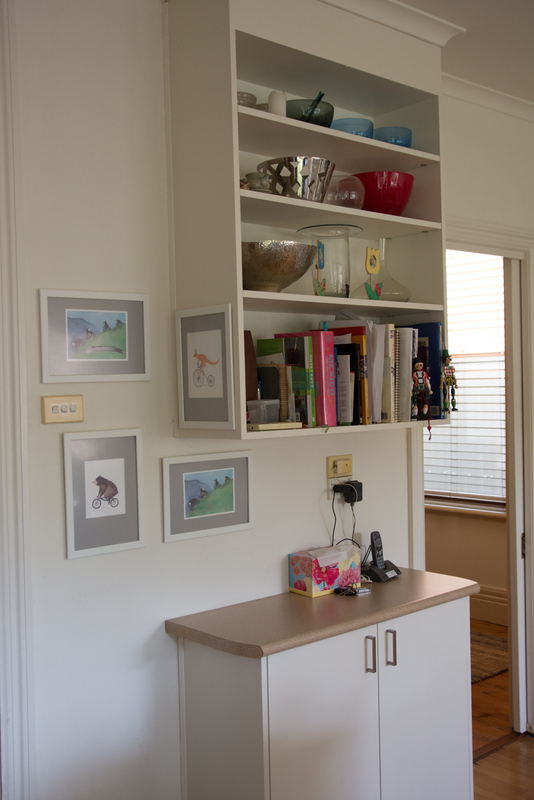 Sanae had talked on her blog, in multiple instalments, about working towards a debt free life. In the final chapter she was obviously feeling very generous as she offered a custom illustration for the first 50 respondents. Embarrassingly, I failed to pay attention to the suggestion that the illustration might include an animal or an inspirational word, or a decorative motif etc. 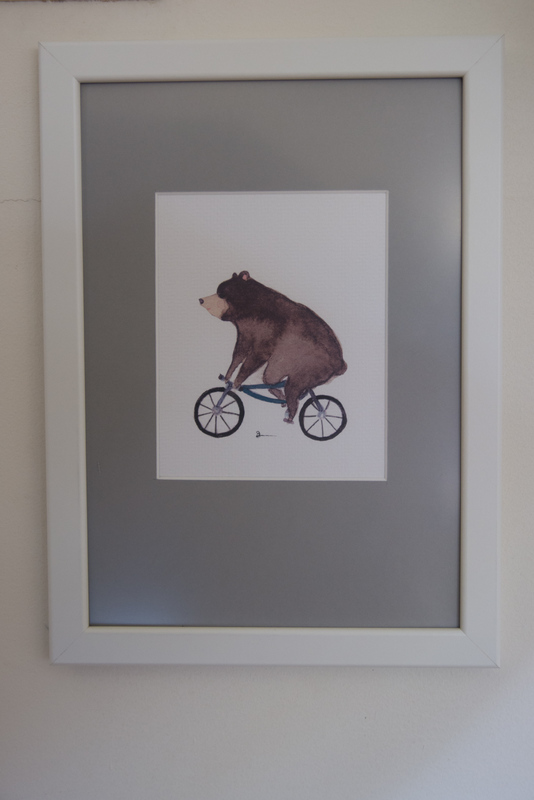 I fired off an instant, begging email request for a family of four bears on bicycles with the word "Together". No sooner had I hit send than I realised by how much I'd overstepped the mark. I apologised in another email just moments later, but Sanae had already been captivated by the idea and promised she would fulfil my crazy request. 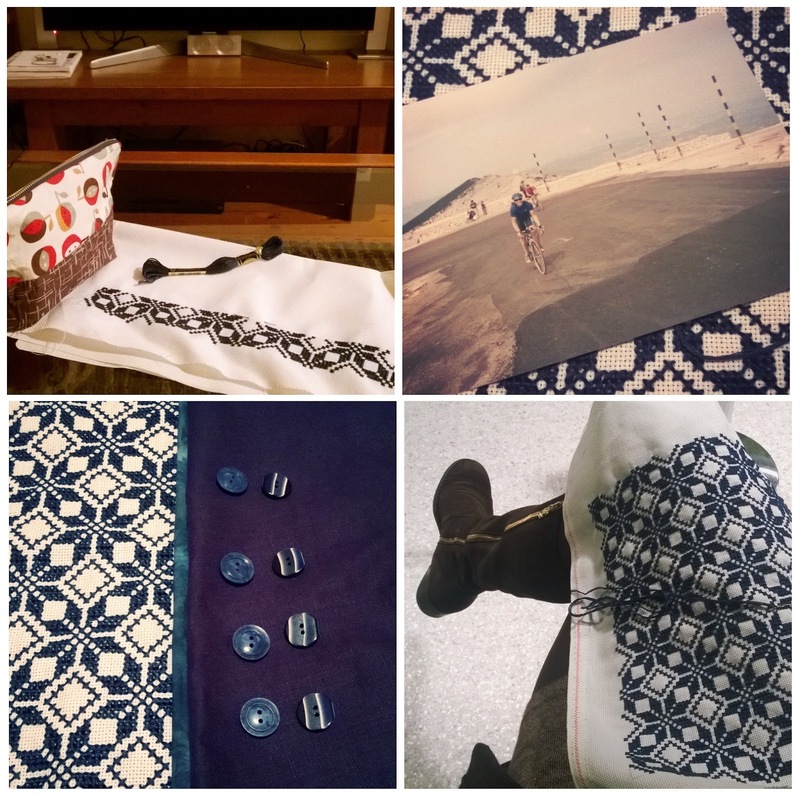 The time for the Tour de France was approaching and I loved the idea of a handstitched project as a gift for Sanae. When @_measuretwice suggested a #tourdestitch sit in on Instagram I found a virtual companion and the motivation to start. I knew a blue and white colour scheme would be on target and knew that she was a maker of, and therefore hopefully an appreciator of, cushion covers. 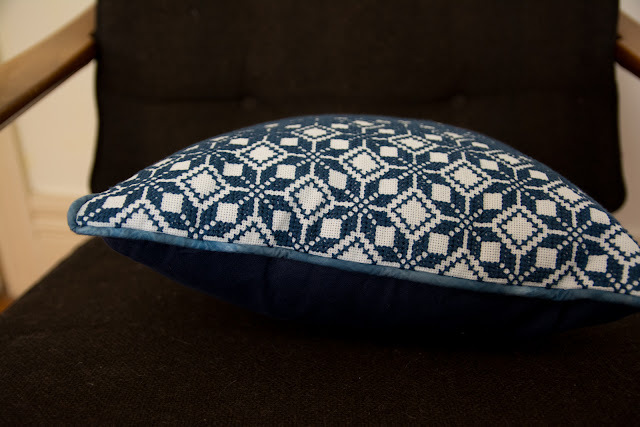 A Japanese embroidery book showed this pattern repeat cross stitched onto a cushion front. I limited myself to 14 inches square, and that took me past the finish line in Paris and into the "fourth week". But it was lovely to have a portable project that could go to lacrosse games, on the train to the city, to the pool and even into the emergency hospital when I was struck down with Ear Pox (not really, just a bog standard, misdiagnosed middle ear infection). 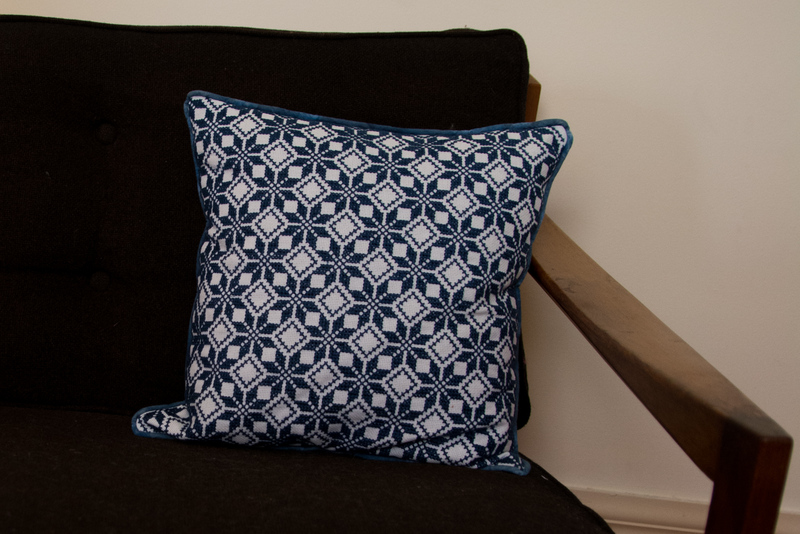 The cushion was backed in plain navy linen, and then the lovely Nicola of the Handmaker's Factory gave me a little sample of someone's shibori dyeing which I used to make my corded piping. 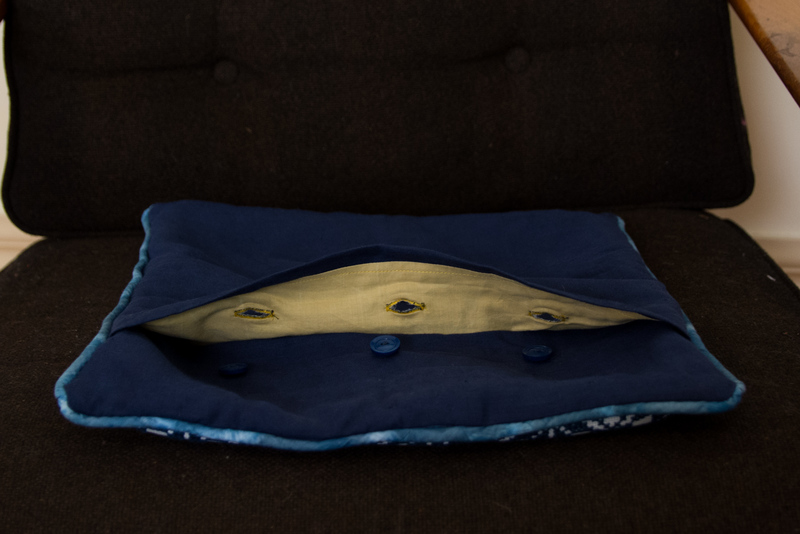 I lined the inside of the cushion cover with some mustard coloured cotton. There's no tutorial for making a piped, lined envelope cushion cover as I ballsed it up quite a few times, and by the time I got the insides on the inside and the cross stitch on the outside I'd lost track of how I had done it. I felt a little bit guilty about posting an empty cushion cover, but the postage, had I left an insert in it, would have been crazy. 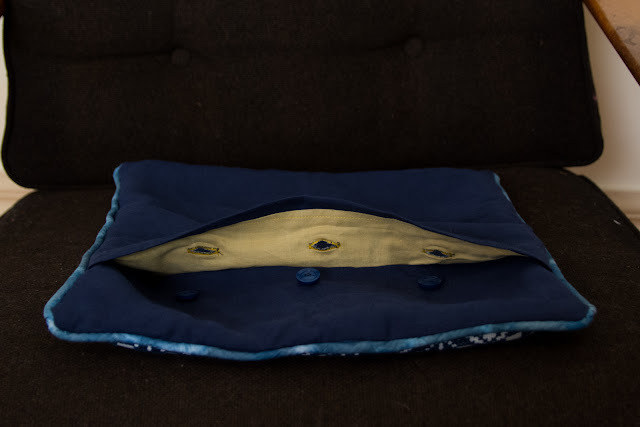 I got a delightful email from Sanae today to say she'd received it and had recently bought herself, apropos of nothing, exactly that sized cushion insert. Happy coincidence, huh?! 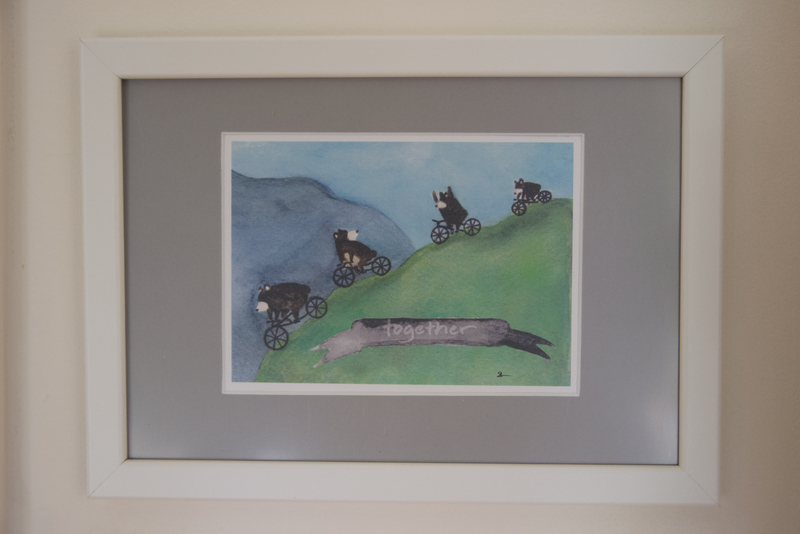 I got some ridiculously expensive framing quotes for my little illustrations and in the end I did it myself. I bought one of those bevel edge board cutting tools (yes you want and need one too, I know), some matte board and these super cheap Ikea frames. 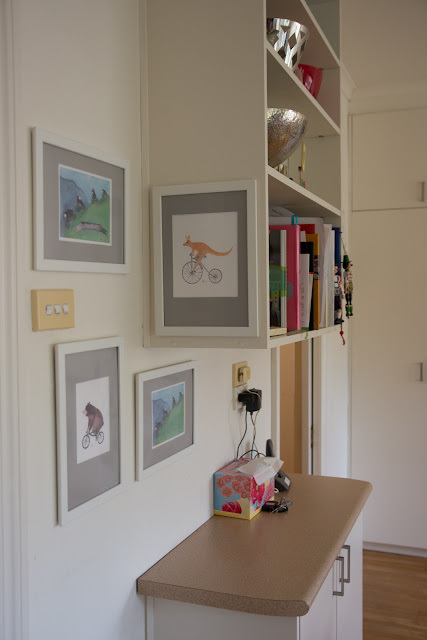 The illustrations are gathered at the entrance to our kitchen area and they make me smile every time I see them there. The kids have nominated who's who in the group image and P is thrilled that he's been depicted descending the mountain hands free! There really is no nicer feeling than the one you get from giving. Making, creating, giving, receiving and communicating with someone you've never met - it just fills me up with that sense of absolute delight and crowds out every thought that isn't one of pure joy. And I'm delighted to think that my handiwork is softening the seat of a chair somewhere and providing comfort to a bottom that may have had a hard day! Gorgeous handwork on both sides of the giving. Oh wow, you did such an amazing job on the pillow!! Not surprised Sanae when above and beyond with her gift, either...she's got an extremely generous spirit! Both of you do, clearly! Thanks Kristin. I got into a real rhythm with it once the first block of pattern was done and I didn't need to reference my sketch. It's quite soothing. Beautiful cushion & pictures. So incredibly special too. Isn't it great to have other makers to help decorate your home?! Cheers Miriana! If we've brightened someone else's day just by telling the story then that's even better!! 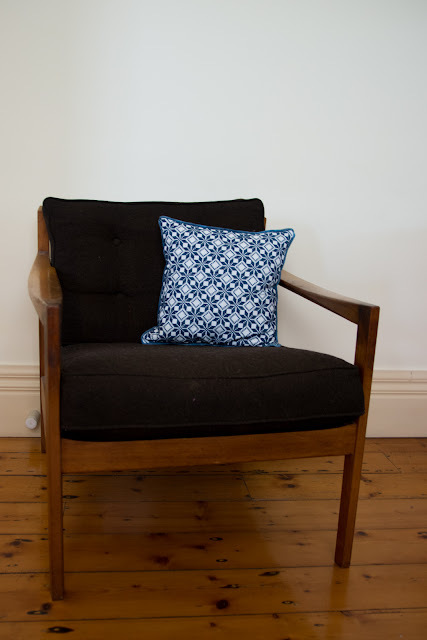 Stunning cushion and oh my you still all the crosstitch. I knew it was P with his arms up in the air. :) It almost makes me wish I was a tidy couch and cushions as decor kind of person myself!